The site’s vote hijacking may or may not fly due to contest rules, but as it stands, the Boston school’s chances are looking pretty good. For the second time in the last two weeks, users of the 4chan imageboard have gamed a public online vote for the lulz. 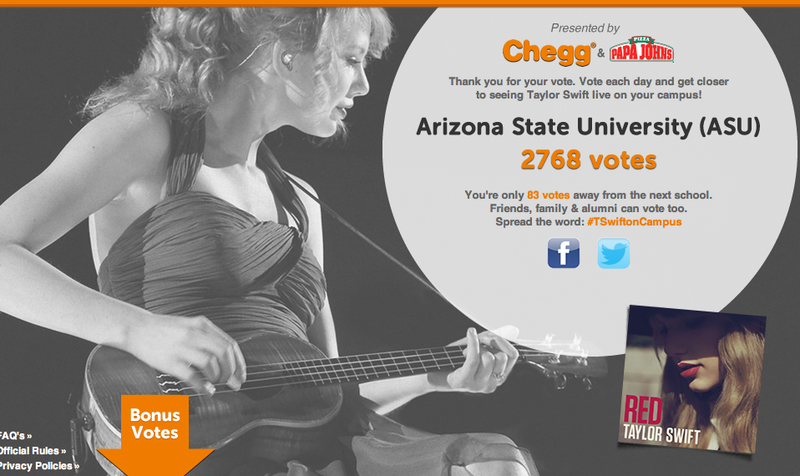 Only this time, their online vote hijacking of the 2012 Taylor Swift on Campus Live Promotion may turn out to be a very good thing. As part of its back to school promotion, the online textbook rental company Chegg is offering five high schools or colleges in the contiguous U.S. the opportunity to win $10,000 for its school’s music department. 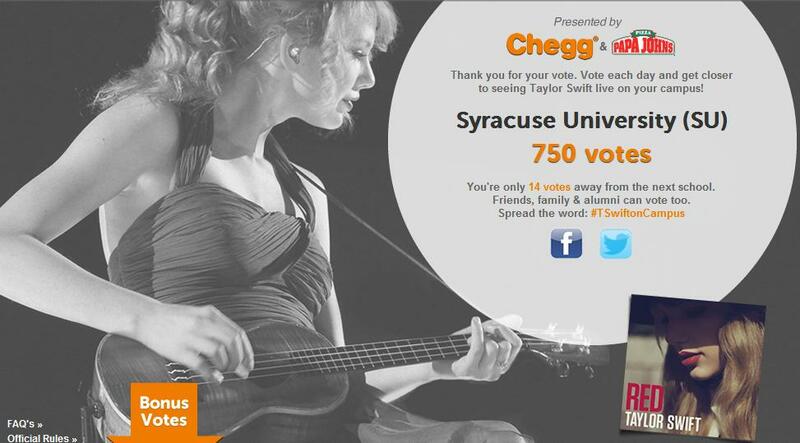 The winning school will also receive a music event featuring Grammy Award winner Taylor Swift. So far one of the leading schools is Boston’s Horace Mann School for the Deaf and Hard of Hearing, one of the oldest public schools of its kind in the county. The school. which was founded in 1869, has collected more than 10,000 votes as of 7:45am ET, largely thanks to 4chan. “I voted, will do so daily and shall bump this with all my might,” wrote one anonymous user in a thread posted in 4chan’s notorious random imageboard known as /b/. “This could be incredibly good,” added another. To put this voting scandal into perspective, a college with one of the largest enrollments in the country, Arizona State University, has only collected 2,768 votes as of 8:15am ET. The whole ordeal grabbed Reddit’s attention, where the community rallied behind the idea of bringing Swift to Horace Mann in a front page post Thursday. Despite Reddit and 4chan’s best, or at least comedic, intentions, it is unclear whether their votes will be counted according to the contests terms posted online. Whether Horace Mann wins or not, the 4chan community hopes Swift will end up playing at the school. “[T]he epic thing about this is, Taylor swift can’t exactly back down and refuse to play for a load of deaf kiddies without a media slaughter so she’ll more than likely go ahead if they win,” said one anonymous user. 4chan pulled off a similar public voting feat on Aug. 13 when the community hijacked a Mountain Dew contest asking people to name its new drink flavor.